The Milwaukee Bucks treat their star Giannis Antetokounmpo with a nostalgic video for his 24th birthday. 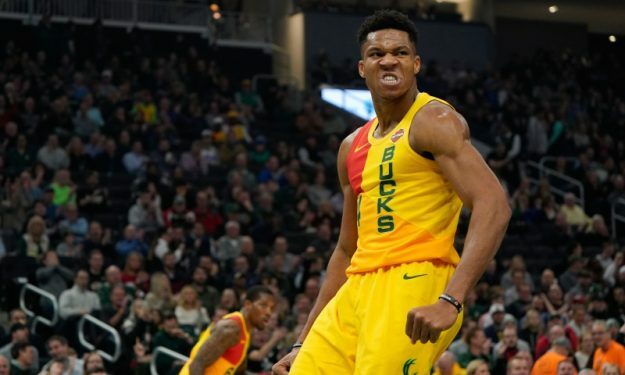 Giannis Antetokounmpo turned 24 today (6/12) and the Milwaukee Bucks wished him a happy birthday with a retrospective video featuring some of the most notable moments since he joined the franchise in the 2013 NBA Draft. From a rookie averaging 6.8 points, 4.4 rebounds and 1.9 assists to a two-time All-Star averaging 27 points, 13 rebounds and six assists per game while winning multiple honors.